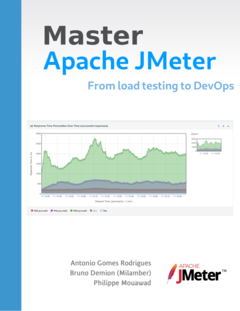 We’re using Apache JMeter with UbikLoadPack Video Streaming plugin and we will soon start massive load test from our injectors. We thought that we should be answering this question with as much details as possible. The type of Stream : HLS will perform better than MPEG-DASH and HSS, the 2 latest being more CPU consuming due to XML format. So the best advice is to calibrate based on your Manifests, meaning to run this for 50 to 100 threads, see how much CPU and Heap it consumes and then extrapolate. You should usually load test as close as possible to target to avoid network parasitizing your results. And only when you’re sure your server are correctly handling the load load test from Cloud servers. But you can do the latter if you can’t do the first step. We advise you to use Linux/MacOS instead of Windows OS as you will get more Threads on same virtual/physical configuration. You should then be able to increase the file descriptor limits using: ulimit -n unlimited The above command will set the limits to the hard limit specified in /etc/security/limits.conf. Our solution does not require any scripting except if you want to export some variables, make some custom scripting or customize number of Thread for rampup. If you’ve never heard about our solution and are coming here for the first time for another reason, then you should know that UbikLoadPack is a commercial set of JMeter plugins that allow load testing complex protocols or technologies realistically and easily. Our solution is used by very big names in all fields and has been around since 2013. Video Streaming servers delivering HLS, MPEG-DASH, MS Smooth. Our solution test realistically simulating real players.